Saddle bronc rider Chance Cochran knows a bad omen when he sees one, and Libby Brennan isn't just a bad omen, she's the woman he was married to, five years ago, for all of 48 hours - before her father dragged her away and started divorce proceedings. It isn't by coincidence Libby Brennan shows up where Chance is celebrating the win that put him in the million-dollar cowboy class. Older and hopefully wiser, she's come to clear up a legal technicality as well as ask his forgiveness. Then maybe she can move on with her life. 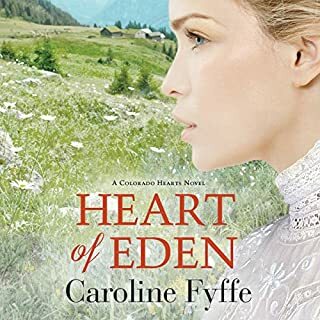 When Anna Mae Flynn passes away, leaving three small children and a husband with a harvest to bring in, the only logical answer is to find Wyatt another wife, quick. He fights everyone at first, even himself, but he knows their logic is sound and their hearts are in the right place. But Millie Carter is nothing like Wyatt's dear Anna Mae, a fact that his grief causes him to point out at every turn. Can Millie win over a heartbroken man, or will the next train through New Hope take her home? This third book is another winner for the series. I like how the author writes well rounded characters along with a story that wraps around emotions of anger, hurt, and happiness. This book focuses on Millie and Wyatt. Now, Wyatt is a widower who needs someone to help with his children, etc. I won't give the story away, but let's just say that for most of this book I didn't care much for Wyatt. Millie is a "Saint" to put up with some of his crap (lol) but she held her own. This is a clean romance with moments of sadness, anger, happiness and wit. I recommend to all ages to enjoy. I enjoyed the narration of Charles D Baker. He truly has the perfect voice for this series. Like book two, this book also has a few spots of backround noise. In one spot it sounded like a train which was kind of cool....since the time period in this book has trains. I enjoyed this book and I would like to thank the author, narrator, or publisher for providing me this audiobook at no cost in exchange for my unbiased review. Wyatt Flynn was heartbroken in the loss of the love of his life, his wife Anna Mae. Struggling with deep depression, long hours of hard work, his friends step in out of worry for his three children and his farm. After the advice of friends and neighbors, Wyatt Flynn mails a petition for a mail order bride. Still not convinced needing a wife, Wyatt is rude to Millie when she finally arrives. The grief stricken father could not help but to give in to Millie's outgoing and fiery personality. Millie cared for his children as her own, winning Wyatt and the children over while trying to ease their heart ache. Loved the story from beginning to end. Sweet and emotional interaction between the adults and the children. It really captivates you, wanting to know what will happen next. After the previous books in the Montana passion series, I was expecting a nicely paced, not overly dramatic romance. Boy, was I wrong! Wyatt and Millie are so full of life, arguing and overreacting in the best possible ways. I loved this story the most. Amelia Rose did a great job again, and Charles D. Baker is awesome! Entertaining and enjoyable. 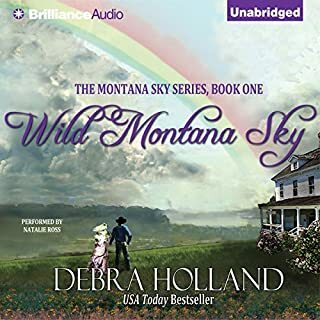 Another good, clean western romance with a HEA. While there are plenty of emotions throughout the story I still consider it a light, feel good story. This story portrays a common occurrence for this time period. Losing a wife and shortly thereafter getting remarried. Wyatt loses the love of his life and faces trying to raise 3 small children and run a farm by himself. With a little push from his friends, and highly conflicted, he sends away for a mail order bride. The woman who arrives is nothing like his beloved Anna Mae. Even though Millie is a wonderful person sweet, caring, patient and understanding Wyatt pushes her away. In his grief he treats Millie very poorly. Wyatt has to find a way to reconcile his conflicted feelings with what he and his family needs. Familiar characters from the previous stories are back again as well. Charles D. Baker does the narration once again for the series. Overall I enjoyed his narration. He has a deep gravelly voice that works great for western stories. He does a good job. Good female voices. Although I still don't care for his laugh. Sometimes his character voices are a bit to rushed and he sounds like he's out of breath. There are some repeated words occasionally. The narrator did an amazing job with this book giving each character their own voice and personality. This was a clean sweet romance with a happy ending. I love this whole series and you fall in love with each character for their own flaws and personalities. Millie has to be one of my favorite characters she was so sweet and giving. I highly recommend this is the perfect wholesome romance. I have listened to him with all of this series i have and i think he does a great job on all of them. when she goes out to the fence line that he is working on to talk to him. I enjoyed this book and like the narrator. I love this book. My one problem with the writing is a one part that talked about Milly getting off the train. She didn't take the train she took the stagecoach. Even with a discrepancy the story was good. The narrator, for the most part, did a wonderful job narrating. I did hear a train in the background and I heard what sounded like the mic being moved. There was some other background noises as well. But Charles D Baker's voice is perfect for this book. His narration is wonderful. Just needs to work on the background noises. Even with the minor problems and errors in the book I would recommend it to anyone who likes a nice sweet clean romance. I was given the book free of charge by the author, narrator or publisher in exchange for an honest unbiased review. This book in the series was very true to life for me. I can only imagine what it would be like to lose the love of your life, then be convinced to send for a mail order bride. When Anna Mae passed away, Wyatt went into a deep depression, not even taking care of his three children well. Pryor talks him into sending for a wife, and Millie arrives on the scene. Talk about an understanding woman. Not only does she not know that Wyatt was married before, but that he has 3 children, and he obviously is not ready to get married again. The ghost of Anna Mae lives on, and Wyatt cannot get past the guilt he feels of loving a new woman. Millie stays, takes care of the house and children and worms her way into the heart of Wyatt. This story is heart wrenching and lovely. Again, Amelia Rose has woven the previous characters into the story, which I love. You feel like you are coming home when you hear Moira and Pryor talk, and you are living with them through their growing family. Gretchen and Kieran are also included, and it makes it like old home week when you hear them. Charles D Baker again brings it. It is wonderful having the same narrator for the whole series. You know which character is talking and it makes it all very familiar. Love this series!